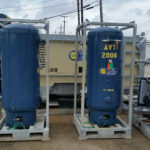 Morgan City Rentals has an expansive fleet of air volume tanks, air coolers (Schmidt AirPrep Systems) and air hoses to fully meet your offshore rental needs. 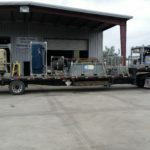 Our experienced sales team in Morgan City, Golden Meadow and Broussard, Louisiana are happy to answer any questions regarding which piece of equipment is right for your job! We also have training available for best practices and procedures for safe operating of air equipment. 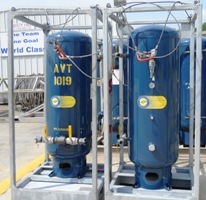 Vertical/ Horizontal Air Receivers built in accordance with the ASME Section VIII Division I code latest addition. Vessels are "U" stamped and registered with National Board. 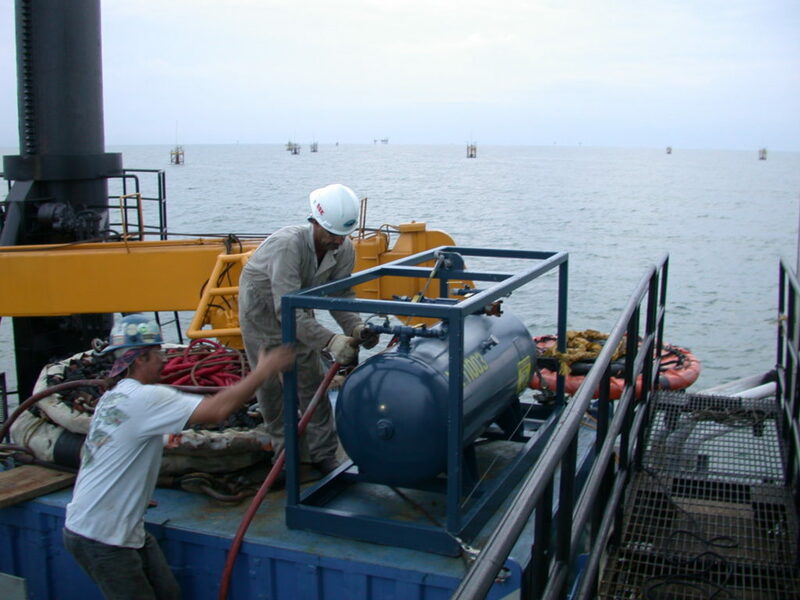 All units are Engineered and Certified- skid mounted with multiple crowfoot outlets and certified lifting sling. Don't let moisture (water) in your air supply rob you of your productivity. Behind insufficient air supply, moisture is the second largest enemy to blasting productivity. "Wet" air causes flash rusting, clogs blast pots with damp abrasives, damages control valves and reduces productivity. Remember – moisture is a problem in even seemingly dry conditions! Blasting operations that simply add a Schmidt® high volume after-cooler moisture separator have documented increased production of 12 to 15%. Schmidt® AirPrep™ systems are designed and manufactured to help maintain and promote productivity in your blasting system and feature negligible pressure drop. 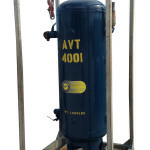 Schmidt AirPrep Systems effectively provide cooler, cleaner, and dryer air to your blasting system while maintaining negligible drop in pressure. Wet Air causes flashes, rusting, clogs blast pots with damp abrasives, damages control system, and reduces productivity. Drier air reduces wear, downtime, and maintenance, saving time and money. All units are Engineered and Certified- skid mounted with multiple crowfoot outlets and certified lifting sling. All hose assemblies should be viewed as potential hazards. For Procedures and Best Practices for Air Hoses, click here. This document is designed to inform and educate proper selection and maintenance of hose, couplings, attachment devices for proper air hose safety. It is the end users responsibility to identify the application and any special conditions that the hose assembly must meet before use. Accidents and down time may occur if hose assemblies are not properly selected for the specific application. The performance and safety of the assembly is affected by the quality of the individual components. S.T.A.M.P.E.D. (Size, Temperature, Application, Media, Pressure, Ends) will help in the proper selection of the hose assembly components. Size: What is the I.D. (Inside Diameter) of the hose? What is the O.D. 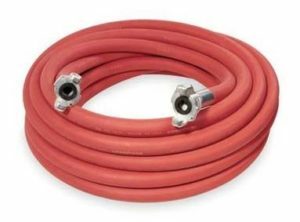 (Outside Diameter) of both ends of the hose? What is the overall length of the assembly required? Temperature: What is the temperature range of the media (product) that is flowing through the hose assembly? What is the temperature range of the environment that surrounds the outside of the hose assembly? Application: How is the hose assembly actually being used? Is it a pressure application? Is it a vacuum (suction) application? Is it a gravity flow application? Are there any special requirements that the hose assembly is expected to perform? Is the hose being used in a horizontal or vertical position? Are there any pulsations or vibrations acting on the hose assembly? Media: What is the media/material that is flowing through the hose assembly? Being specific is critical. Check for: Abrasive materials, chemical compatibility, etc. Pressure: What is the maximum pressure including surges (or, maximum vacuum) that this hose assembly will be subjected to? Always rate the maximum working pressure of your hose assembly by the lowest rated component in the system. Ends: What couplings have been requested by the user? Are they the proper fittings for the application and hose selected? 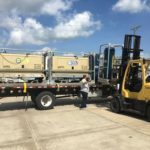 375 CFM Skid Mounted Air Compressors and Air Volume Tanks preparing for delivery. Pre-inspection staging for quality check before shipped.